Sport fishing on Lake Michigan guarantees to be a world class experience- you can catch chinook salmon "king", with trophy fish weighing 30lbs- these fish put up quite a fight on light tackle and can take some 30 minutes to land. 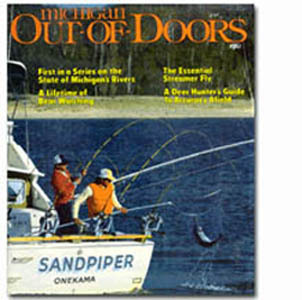 Our steelhead fishery is written about in many outdoor publications. Because of our proximaty to deep water, these sky-rocketing beauties make our area their playground all summer long. Add Spring Brown trout, fall Coho, and Lake trout! We work with many area charter captains and can book mutiple boat charters, just ask us..